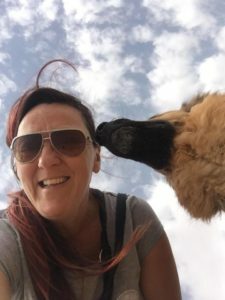 Kirsty Kavanagh has lived in Dubai for nearly eleven years and over this time has given back to her animal community in so many amazing ways. This is why she is a Paw Their Sake Fur-Champion. Kirsty has lost count of the number of poor little souls she (and her husband of course) has fostered, but it is safe to say it is quite a few! 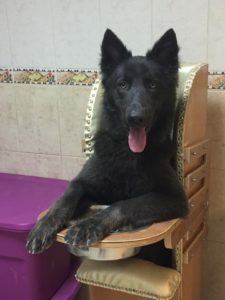 Initially fostering cats and kittens during the first 8 years here and more recently, numerous dogs for a variety of the animal groups, she is currently also sponsoring the boarding at K9 Central for a dog, Floyd, rescued from a life of abuse on the streets and who is currently looking for a forever home. Along the way, a few of the fosters have snuck their way into her home on a permanent basis. 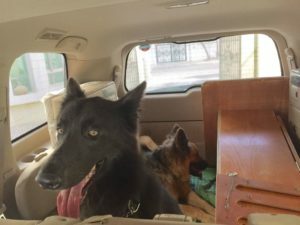 Kirsty has two dogs (Lost and Smoke) and two cats (Dolce and Henry) of her own, all of whom are Dubai rescues. 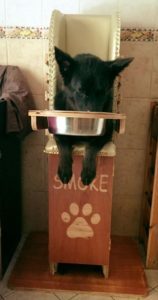 One of her babies, @Smoke The MegaE GSD, also has special needs and so she has to feed him in his own made to measure high chair for each meal to ensure he gets the nutrients he needs to stay healthy and strong. 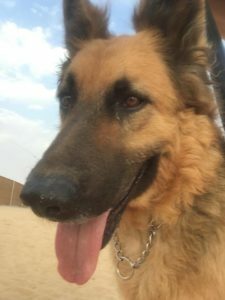 @LostOfArabia, a K9 Friends rescue, is also giving back to the community, having been approved as the UAE’s first ever Reading Dog for Schools, with the Animal Agency. Around two years ago Kirsty had a little bit of time available and started helping friends with their pet relocations. 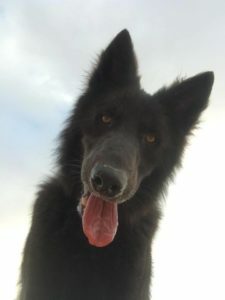 This led to her helping various rescue organisations with the process and has now developed into a fantastic business called Pawsome Pets. Kirsty continues to give back to her community by undertaking the rescue relocation process free of charge for three of the rescue groups close to her heart and at as low a cost as possible to the others. Each month she also gives back a percentage of her profits to the local community. We want to thank Kirsty for her dedication to the UAE community!